In 2017 we've see Internet of Things devices enter many more areas of our lives. We've also seen them exploited to launch cyber attacks. So, how do industry experts think the IoT will develop in 2018? The security aspect of IoT devices is still a concern for many. Larry Cashdollar, senior engineer, security intelligence response team at Akamai says, "As manufacturers develop new internet-connected devices, they must make software security a top concern. Not only can vulnerable devices be leveraged for attacks, but the consumers privacy is also at stake. Ignoring this threatens the security and stability of the internet as a whole." According to Experian's 2018 Data Breach Industry Forecast, "Vulnerabilities in Internet of Things (IoT) devices will create mass confusion, leading to new security regulations. In 2018, we'll see cyber criminals take this to the next level by hacking the IoT to create real-world mayhem. The interconnectedness of IoT devices make them prime targets for advanced hacks and ransomware. Imagine what people would pay if their smart thermostat or their connected vehicle were taken over?" "The IoT is going to continue to be an issue as threats grow in size and scope," says Sam Elliott, director of security product management at Bomgar. "Even as people become more aware of security risks, and developers try to work harder to secure connections, in many cases security isn't a consideration at all, or it's only added at the end. When a botnet occurs, such as the Reaper botnet, we have no idea how big it is, or the motivations, or what is already affected. Things like smart toys and the next cool, connected thing are making this scenario more complicated." Kris Beevers, co-founder and CEO of NS1 believes enterprises may not be ready for the amount of data generated by the IoT. "...451 Group estimates there will be 10 billion IoT devices deployed by 2020. Yet today, IoT deployments are only collecting about half of the data captured by sensors, and are only analyzing about half of what is collected. As more technology processes become integrated with IoT, IT teams will be even more challenged to keep up with this data -- not to mention the potential for serious disruption if these devices are not properly secured. This increase of IoT data will put even more demands on DNS infrastructure, but legacy DNS solutions based on BIND and derivatives will be unable to keep up with the real-time requirements of IoT applications, which will rely upon high velocity real-time traffic management to enable edge computing strategies that slash latency. The connected car driving down the street in New York cannot be waiting on a server in California to make a computation -- even 200 milliseconds of latency is too slow." Beevers sees the answer to this as a move to edge computing. "The solution to this distributed architecture model will be that enterprises move computing and data centers closer to the IoT devices at the edge. In turn, enterprises will increasingly rely on DNS technologies that include intelligent traffic management to direct workload across such highly distributed edge architectures." The move to an edge model is also foreseen by Sastry Malladi, CTO of FogHorn Systems. "Almost every notable hardware vendor has a ruggedized line of products promoting edge processing. This indicates that the market is prime for Industrial IoT (IIoT) adoption. With technology giants announcing software stacks for the edge, there is little doubt that this momentum will only accelerate during 2018. Furthermore, traditional industries, like manufacturing, that have been struggling to showcase differentiated products, will now embrace edge analytics to drive new revenue streams and/or significant yield improvements for their customers." Malladi also thinks there will need to be a shift in the way organizations approach IIoT technology. "IIoT deployments will start forcing closer engagement between IT and operations technology (OT) teams. Line of business leaders will get more serious around investing in digitization, and IT will become the cornerstone required for the success of these initiatives. What was considered a wide gap between the two sectors -- IT and OT -- will bridge thanks to the recognized collaboration needed to successfully deploy IIoT solutions and initiatives." This will have an impact on other business systems, believes Gina Murphy, SVP and GM of Rackspace Application Services. 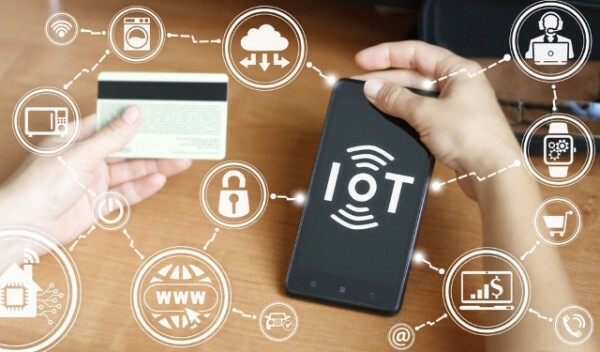 "In terms of ERP, there's a lot of connectivity and standardization issues the industry must overcome to benefit from the Internet of Things (IoT). For one, businesses will need to look at how they’re going to collect and then use that data. Right now, they are drowning in data points, but are unable to apply any analysis. Manufacturing companies, for example, have a number of devices that are constantly collecting information from each of their machines; however, they're not yet at a point where they’re able to capture the collective dataset in real-time and generate an analysis that will help them better determine where, when and how they can cut costs." "In 2018, we'll see businesses considering new ways to house that data (likely in a warehouse) and push it out to where it's needed, when it's needed -- especially in order to implement cognitive technologies like AI throughout business processes," Murphy adds. "Managed Services can help overcome these challenges by consolidating applications and providing a single pane through which to manage an organization's IT operations." Are we going to see big things from the IoT next year? Let us know your thoughts.